NEW !! Dear Community Partners please update your contact information for 2 Spirits, click for more info. 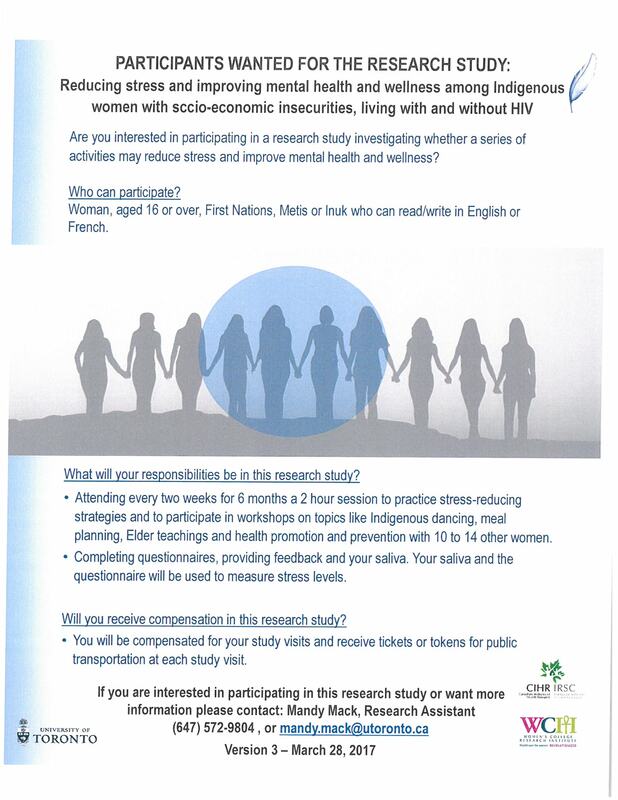 Participants Wanted for the Research Study: Reducing stress and improving mental health and wellness among Indigenous women with socioeconomic insecurities, living with and without HIV. Two-Spirited People of Manitoba Inc. - For Immediate Release 12/30/2016.